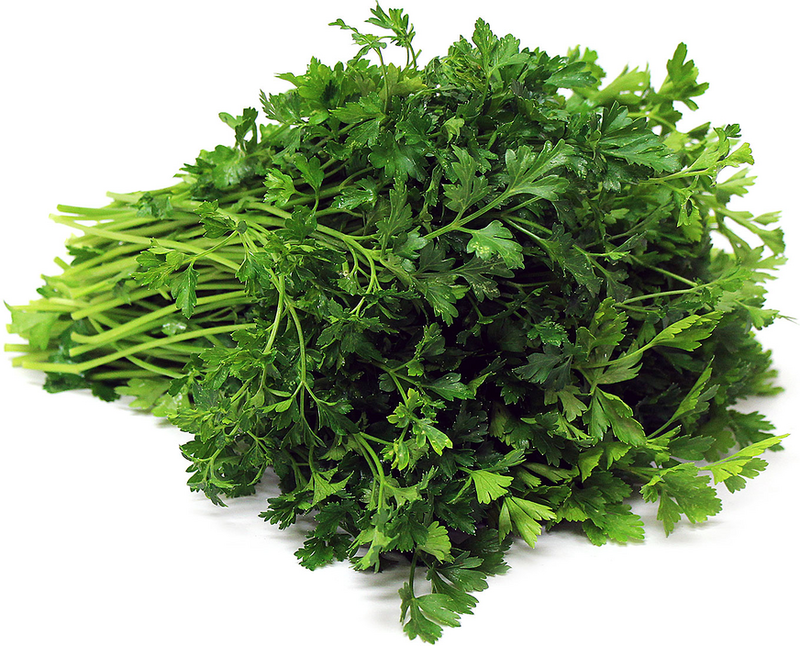 Italian parsley is botanically known as Petroselinum crispum and is classified as a biennial herb. The leaves of the Italian parsley plant are flat in shape with serrated sides. Often called Flat-leaf parsley, Italian parsley offers a peppery flavor with mild floral and herbaceous undertones. Italian parsley is available year-round.